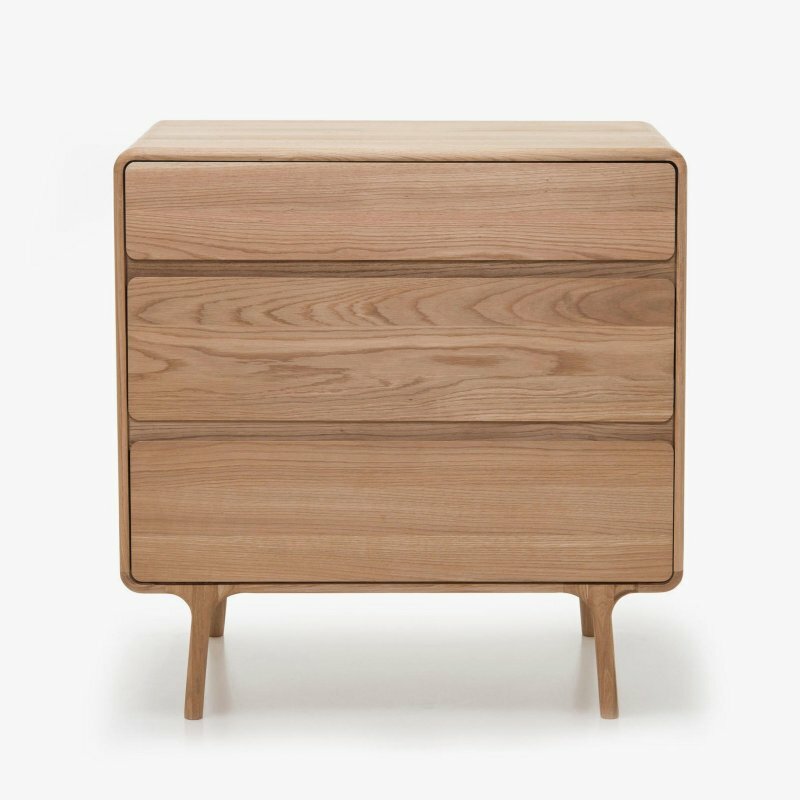 American Modern 5-Drawer Dresser is a wooden chest of drawers with natural simplicity, designed by Design Within Reach. With a nod toward the iconic work of mid-century American masters — but updated to make use of today&apos;s most advanced manufacturing processes — the American Modern Collection has a straightforward aesthetic. Crafted out of FSC-certified solid maple or solid walnut, this Dresser is made with soft-closing drawer glides that not only render drawer slamming impossible, but also prevent interior contents from shifting to the back each time you close a drawer (no more wayward unmentionables). The drawers cascade in size, from top to bottom, which gives this Dresser a sense of movement. A bull-nose edge softly finishes the piece. This is a formaldehyde-free product. Made in U.S.A.